Yes, they protect your home from burglars, your landscaping from errant balls, your peace from solicitors, but they also impress your friends (and enemies.) As the Telegraph reports gate automation is on the rise, and fast – about 30 per cent per year. But when a trend take off at such a dizzying speed it often causes careless mistakes and unfortunate decisions. 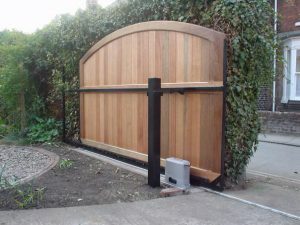 There are many factors to consider before jumping on this bandwagon with an order for your sturdy, shiny new gates. Our automation engineers will spend a lot of time consulting with you. Once they inspect your manual gates they may even find that electric operators can be fitted onto the! 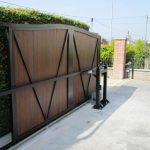 Finally you must consider the quality of the product and the service guarantees of the manufacturer and installer of your new electric gates, wooden gates or metal gates. The materials used should be durable and safe. And the design must include and override for access in case of a power outage. Another important choice you will have to make is your control option. Wireless GSM intercom? Free exit loop? Timer or push buttons? 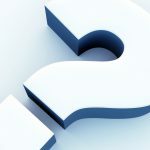 Our experts can explain these technologies and advise you on which one best suits your needs. They must consider the size and position of the gate, the material it’s made of, the wind and elements effect, the regularity of use, the post size and hinge position. After a detailed survey of the ground surface and landscaping surrounding the gated area and with concise measurements in hand our installers will suggest the most appropriate: underground gate operators, post mounted gate operators or sliding gate operators. They will make sure you understand why they are making the recommendation and that you agree. Then you can make your aesthetic decisions. Would you prefer wooden gates? Metal gates? Sliding or swinging? We have so many design choices that is may take you a while. Of course you’ll want them to fit in well with the neighbourhood. We have serviced clients all over Bristol, Bath, Gloucester, Cheltenham, Cirencester, Chepstow, Newport, Clevedon and surrounding areas. We’ve been a family run business for twenty years – we’ve been around. So if you’d like your new automated gates to be manufactured from the highest quality materials and installed by highly specialised technicians, give us a call.